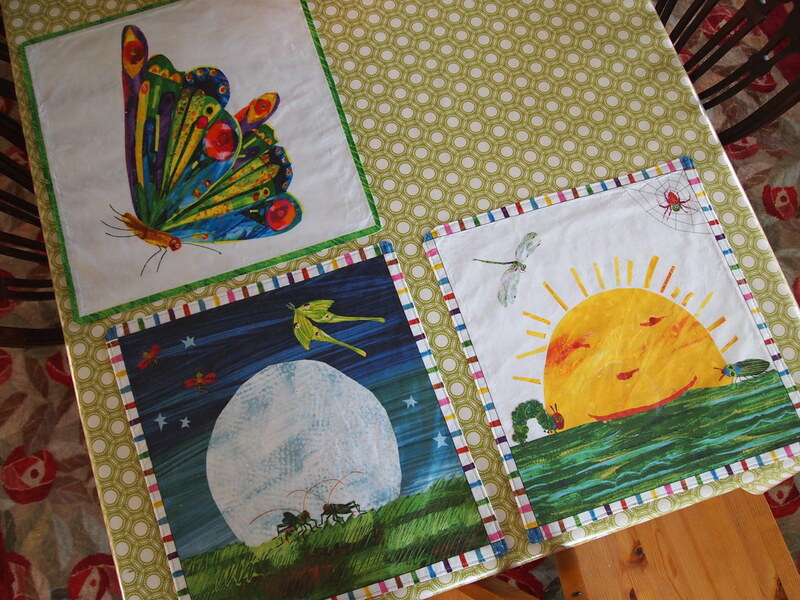 These are the placemats my children use every day, for every meal. My mom made them. They were Valentine’s Day gifts. Each is a laminated Eric Carle print. James gets the very hungry caterpillar (with the big sun) because he out-eats everyone, daily. Owen gets the moon. He loves the moon. And Sophie gets the butterfly, the same butterfly which is embroidered on her backpack. It is a beautiful moon. This entry was written by kara, posted on April 10, 2012 at 10:30 pm, filed under Things I Love and tagged eric carle, James, Nini, Owen, placemats, Sophie. Bookmark the permalink. Follow any comments here with the RSS feed for this post. Post a comment or leave a trackback: Trackback URL.